With four days away on Champions League duty with The New Saints in Hungary, my angling was again seriously affected this week. Following on from a similar fishing-fast in the Faroe Islands, to slightly change the Rime of the Ancient Mariner, it was another example of water, water everywhere and not a rod to cast. 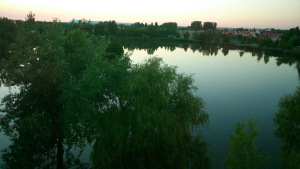 In this instance there was actually a lake on the doorstep of the hotel the team stayed in. 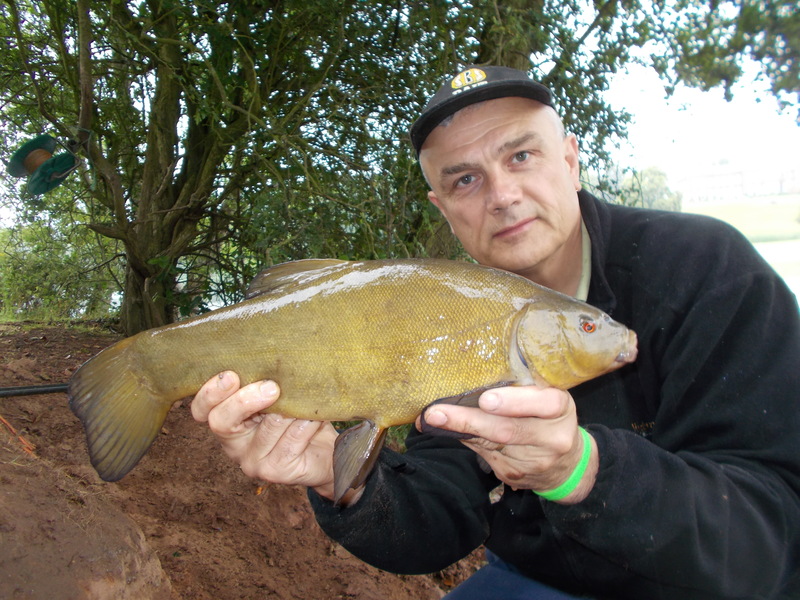 With SBS Baits being Hungary-based it’s a timely opportunity for a blog featuring the company. I asked Daniel Novak to translate a sentence for me from English into Hungarian. This was for the page I write in the TNS matchday programme, which in this instance was welcoming the Videoton fans as they visited Park Hall for the first leg. 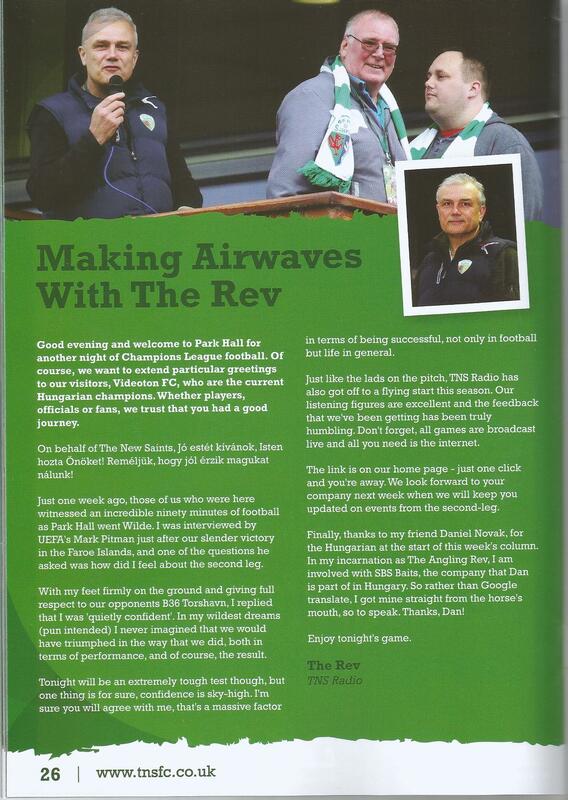 I gave SBS and Dan a mention – I wonder how many angling companies have been in a Champions League football programme? I think this could be a world-first! Anyway, moving on from the football and onto the fishing. 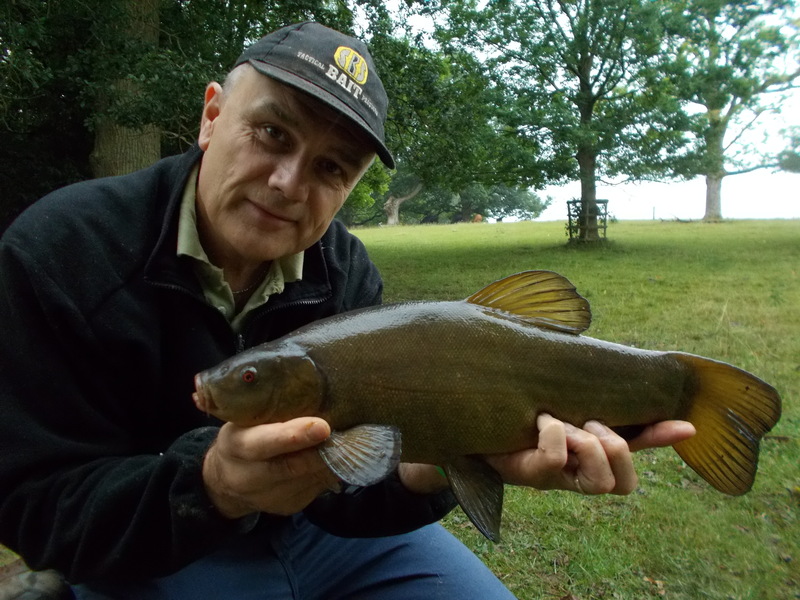 Again I was focused on a species and this time round it’s tench. Make sure you watch the video that accompanies the blog as I go through the bait products in that. As you can see, I caught a few fish and had great fun in just a few hours in a short evening session. It doesn’t matter what category we place ourselves in as anglers, ultimately it has to be about enjoyment. 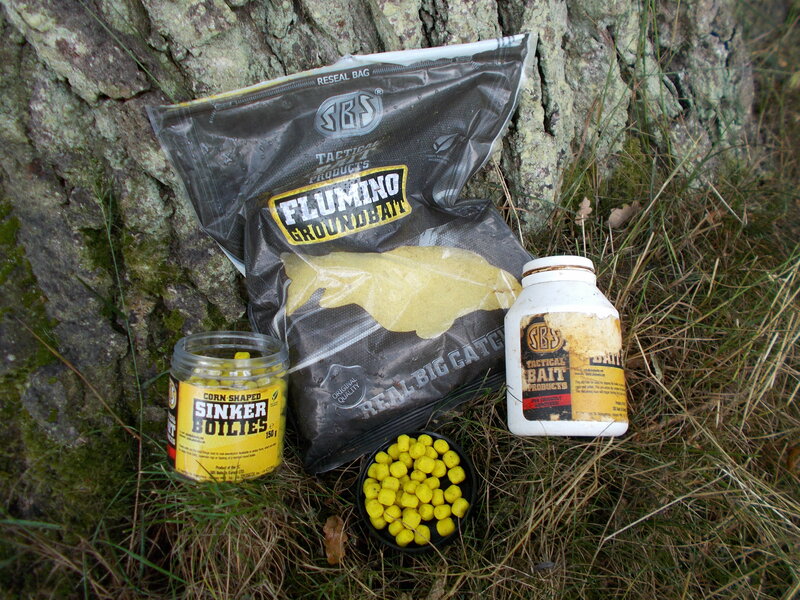 I’ve become a big fan of the Flumino groundbait range since I first started using it about a year ago. It’s definitely a quality product but at a good price. 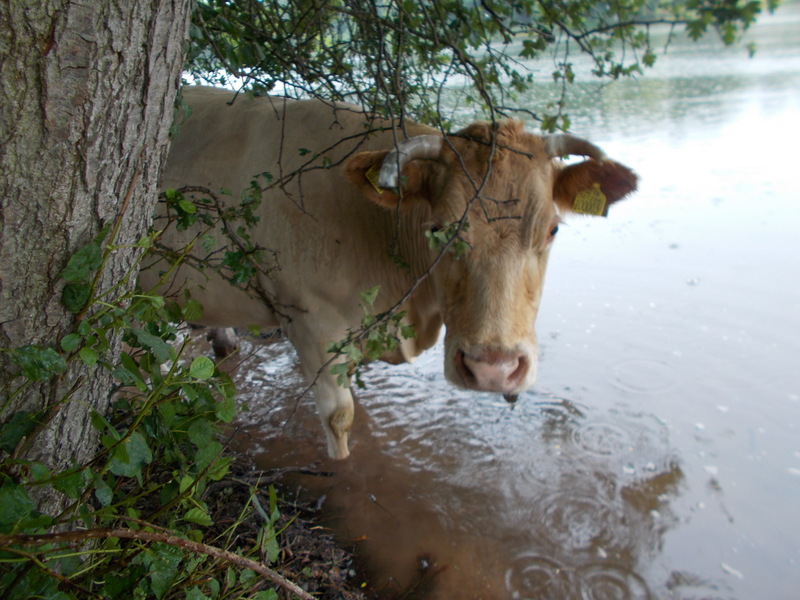 Depending on how you mix it, like any groundbait of course, it can either form a cloud in the water or get to the bottom pretty quickly. As I was fishing hard on the deck, I mixed mine quite firm. Fishing a quiver tip rod I had some great action from the fish. Obviously there are times when you catch something that you weren’t after, say a big roach but on carp gear that doesn’t really give the fish a chance, but when it is a fish caught by design on balanced tackle it always gives maximum pleasure. It was a very wet day, and at 12C considerably cooler than the 43C I had experienced just two days before in eastern Europe. 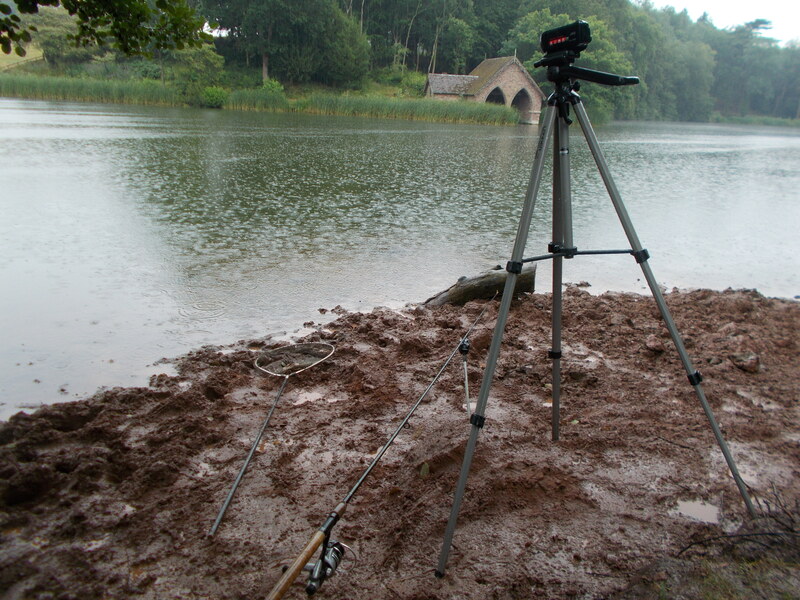 However I am a great believer in not letting the weather affect your fishing. Sun, rain, snow, wind or hail – just go anyway. Obviously we need to choose venue and species wisely but the bottom line is you’ll never catch sitting at home.